On the go? 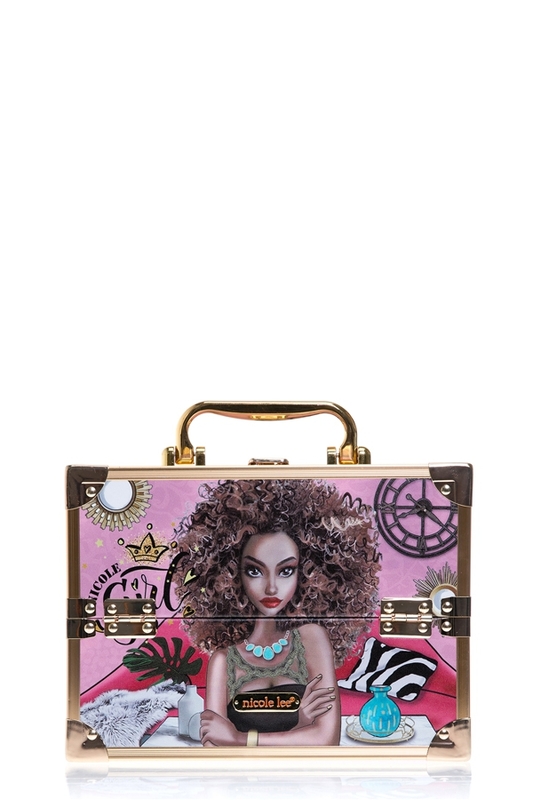 Carry and organize all of your makeup and jewelry in the fab Nicole Lee Casey Storage Cosmetic Case Box, because all of your beauty essentials must go with you! Exterior Features: Exclusive Nicole Lee print all around, top handle, gold-tone hardware, reinforced corners for protection, french door top opening, and Latch with key lock closure. Interior Features: soft velvet interior, four extendable easy slide trays with spacious interior to keep all of your makeup/jewelry organized. Handle with 1.5" inch drop. Colors available are Ara Loves Morning Coffee, Angelina Follows Dream, California Sunset, Diana Tells The Story, Gypsy Girl, House Party, Paola Is Tomboy, Super Roxana, Venecia Loves Make Up, Vivian Dreams Paris, Wow Its Lucy, Wild Eclypse, Yarissa.